Your shoes are essential part of your travel gear and you should always take your best footwear with you. You and your feet deserve nothing less. Walking shoes, hiking boots and special travel sandals have different functions. We explain the benefits of each type and outline what you need to consider when buying one. How many pairs and what kind of shoes you need to take with you depends though very much on the purpose of your trip. It is obvious that you need different shoes for a city break than a hiking trip. You are also likely to need fewer pairs on shorter journeys than longer ones. Those travelling light and on short journey could make do with one multi-purpose pair of shoes, i.e. comfortable shoes that are city smart and country casual at the same time. All the shoes you decide to pack should be comfortable, as we tend to spend lot of time on our feet when travelling. The most important feature when choosing the right footwear for your journey is however versatility. Comfort and practicality is the key where your travel footwear is concerned. The ideal travel shoes are comfortable and lightweight but still durable. For outdoor travels, you will also be looking for waterproof yet breathable footwear. Comfortable shoes that are city smart and country casual at the same time are the ideal travel shoes for most trips. These can be your everyday shoes or specialized shoes for travel, i.e. walking shoes or travel sandals. Your everyday shoes can be quite suitable for city breaks, business trips, relaxed holidays, etc. Just make sure you feel comfortable wearing them and those you have to pack should be as lightweight as possible. Just don't forget to choose substance over style. Specialized travel shoes are ideal, if not essential, for travel that is more strenuous, e.g. for outdoor adventure vacations. Specialized travel shoes come in all shapes and sizes... it does not matter if you are looking for hi-tec hiking boots or travel sandals. Whatever type of shoes you go for, just make sure you always choose substance over style. You should always choose your hiking boots or walking shoes carefully. Wearing the right footwear can literally make or break your holiday as the shoes can shield your feet from injury and pain. In this case, it is advisable to invest in the best quality travel shoes you can afford. 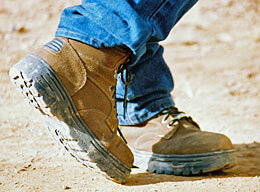 Walking shoes are excellent choice for lighter outdoor activities and especially during the spring and summer months. They tend to be lightweight and durable as well as breathable... and exceptionally comfortable. 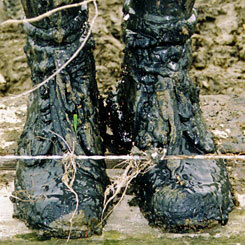 Hiking boots are preferred in rougher terrain, i.e. when better ankle support and durability is required. There are many different types of hiking boots available, aimed towards different terrains and climate. Cushioning is an important feature when choosing outdoor shoes. Shoes used for hill walking or backpacking should have more cushioning than shoes used for scrambling or climbing. Also, always choose boots that are 12-15 millimeters longer than your foot. Walking with wet feet is uncomfortable so make sure your footwear is waterproof. Many hiking boots and walking shoes have waterproof lining... this though does not necessarily make them waterproof. Make sure you read the specification carefully and seek advice if in any doubt about if the shoes you are considering buying are waterproof or not. There is an excellent range of specialized travel sandals available. Not only comfortable stylish sandals for leisure vacations but also excellent sandals you can wear for walking and light trekking. You can get sandals tough enough for adventure but good looking enough for wearing them casually in the evening too. Travel sandals are great when it is uncomfortable hot to wear walking shoes or hiking boots. They provide support and cushioning at the same time as allowing air to cool your feet. Travel sandals are great option for light outdoor activities. It is easy to measure your feet, what you need to do is to place a piece of blank paper on a hard floor. Wear socks of medium thickness and stand on the paper. Hold a pencil vertically and place a mark at the end of each heel and another mark at the end of your longest toe. To find your shoe size, measure the heel to toe mark. Use the international shoe size chart to find your shoe size. This Shoe Size Chart is based on the Mondopoint shoe size system where the size represents the length of the foot in millimeters. Wikipedia.org has also very extensive article on shoe sizes and how they are measured based on international ISO standards. Your feet could be getting wider if you have been putting on weight. For best result, you should also measure your feet width. Measure the sides of your foot at the widest part to find the shoe width you need. Amazon offers wide range of footwear for both sexes. They offer free shipping on orders over certain amount and their return and refund policy is as good as it gets. You can't go wrong shopping on Amazon.